UPDATED EVERY WEDNESDAY. SHARE A TIP ON SWIFT WEEKLY. First of all, we need to clarify the two concepts: exception and error. In Cocoa development, exception is often caused by mistake of programmer. Take some examples: when we send a non-existing message to an NSObject object, an NSInvalidArgumentException will be thrown with an error message "unrecognized selector sent to instance"; If we use an index out of range of NSArray to access its element, we will get NSRangeException. These issues should be resolved during app development process instead of leaving them to a real product. On the other hand, the "errors" are more reasonable and a part of users using your app. It could be unmatched user name and password when login, or try to create an image from a local file which is not image. Obviously, errors in app are unavoidable and normal. Some other languages prefer to throw and catch exceptions for error handling. But in Cocoa, there is a distinct line between exception and error. It is not popular to handle error with throwing/catching exceptions, since you need to do extra setting to enable the exception in Build Setting and use try catch to catch exceptions in an Objective-C context. More ever, in Swift, the try catch is totally removed from the language. We are going to focus on error handling in this tip. It is very important to design a good error handling flow. It is not only an API pattern consideration, but also has an influence on user experience. The biggest benefit by doing so is keeping compatibility with Objective-C. At the same time, it is a traditional way in Cocoa development. We can use this kind of APIs in both Objective-C and Swift. As Swift brings some new features, if we do not need to consider the compatibility for Objective-C, we have some new choices in error handling. One of them is described in tuple, by changing a single return value to a tuple with NSError. There is another common way to deal with error - using enum. As an important feature of Swift, enum type could be bound to other instances. We can return an enum type in a method, in which define the success or error state. 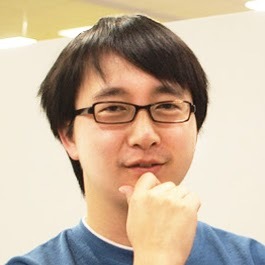 Wei Wang (@onevcat) is an iOS/Unity3D developer from China. He is living in Japan now, seeking the source of creativity. © 2018 / Swifter.tips is published under Attribution-NonCommercial-ShareAlike 4.0 International.